Welcome to John's Gran Turismo Space (JGTS)! This is a basic introduction to my blog and what I hope to express to my fans and readers. On July 16, 2013, after not having updated "John's Gran Turismo Space" in months, I thought about the future of JGTS. It was a long and hard decision for me to make, but I made it. I wanted to make this a more general blog on racing and driving games- Gran Turismo and Tourist Trophy included. So what you will see is a variety of topics related to racing games. This is all in the evolution of my blog on GT and TT. I hope all of my readers can appreciate my efforts. To read more about this new direction I am taking "JGTS," please visit this blog post: "The Future of JGTS" (John's Gran Turismo Space). Here are individual points regarding JGTS. This is my blog of and about both Gran Turismo and Tourist Trophy. I began talking about the Gran Turismo series through my YouTube channel (search "JohnMarineTube" on YouTube). I felt like I could better express topics about GT and Tourist Trophy in blog posts rather than in videos. So therefore, I took my more in-depth GT commentaries to my primary blog, John's Blog Space (JBS). I later felt the need to create John's Gran Turismo Space to further express my love of the Gran Turismo series and of various points I want to express further. I created this blog out of love to show my love and respect for the Gran Turismo series. I initially created JGTS to be a Gran Turismo-exclusive blog after mentioning Gran Turismo extensively in my primary blog, John's Blog Space (JBS). My blog is primarily an extensive showing of support of the Gran Turismo series and what all is has to offer. While it may be about Gran Turismo in general, I also regularly add content to try to look at the Gran Turismo series in different ways. I address things such as speculation, ideas, commentary, and more. From time to time, I may discuss other racing games. This is all in an effort to add diversity to topics here. 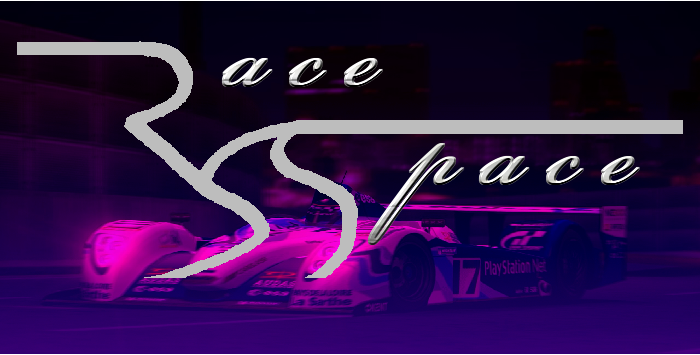 Just like on my primary blog, "John's Blog Space," most of my topics on John's Gran Turismo Space (JGTS) are about random topics posted at random times. Most of what I come up with are random unless someone wants to see a certain post about something regarding Gran Turismo and/or Tourist Trophy. Please use my blog's labels to find whatever it is you're looking for. I may post a lot of content in my blog, but it is for you to enjoy and use. I have no problem sitting here on my bed typing things endlessly that eventually becomes... a blog post. I never post anything online unless I feel it has some sort of special value to my would-be readers. I do NOT steal text from other websites. Most of what I type up in blog posts are all my own work. If I use pictures from other sites, I usually pay credit to where I got the original pictures from. All pictures online are based on Google Image searches. If they were pictures I've made, I don't cite any sources. Use my blog's sidebar to link to more content regarding Gran Turismo and/or Tourist Trophy. If you think I can include some more content, PLEASE let me know. I am not blogging for myself. I am blogging for YOU! I want YOU to help make my blog better for others. Will you help? The official colors of JGTS are purple and silver. The official names for the colors of JGTS are Amethyst Purple and Moonlight Silver. This is one of a few different color styles I've arranged in setting up JGTS. To stay consistent with the theme of space, I needed to note this as my "space" as part of a universe of blogging content. My primary blog is called "John's Blog Space." I needed to code my blogs better. My usual colors for my online content are blue and gold, and my alternative colors are red and gold. I chose the space namesake because I love stars and nighttime. I have used a lot of starry accents because I love nighttime. You are part of my universe when you visit any of my blogs. Space is infinite, and so is my commentary and range of topics. I am John Marine from Houston, Texas, USA. I have been playing the Gran Turismo series since (and I am making an educated guess) 1999, so I have about 12 years playing the Gran Turismo series. What I Want From My Readers. Do not just come on JGTS and leave! If you loved your experience here, feel free to share my work. Subscribe to my blog using whatever service suits you best. Post comments on my material. I posted this material for all of you to enjoy and share. I want to establish a community. Will you help? And if I do discuss other racing games, I am always sure to respectfully discuss other games without overpraising GT or Tourist Trophy. This is professionalism from a classy individual. The best way to learn things is to learn from the outside world. This is my favorite racing game series. To make my favorite racing game series better, one has to consider how to make something better. So that is what I try to accomplish in my various deep thinking posts regarding the Gran Turismo series. All I want is for the Gran Turismo series and Tourist Trophy to remain strong and evolve. My speculations, ideas, commentaries, and the like are all specifically designed to make personal insight and commentary on certain topics and issues regarding the Gran Turismo series. I hope more people can enjoy my work to where people can keep coming back for more fun with the Gran Turismo series. I want to be assured that my efforts are working. Will you please lend me your support? If you enjoy my work, feel free to share your love and your comments. If you don't enjoy my work, it is okay to respectfully disagree. People who just come in here to hate and spam what I've worked hard to create and expand will just get banned. • I Want to Earn YOUR Respect! Have I done enough to win your respect? Has my material been useful enough for you to keep coming back or for you to show your continued support across social media? I don't blog for myself. I am strong about having an international audience. I blog for GT and TT fans like you. Even if you're not a fan of the Gran Turismo series or Tourist Trophy, I at least hope my material has been of use to you. All of this covers John's Gran Turismo Space for the most part. At the end of all of my posts are links to my other content. I would appreciate it if you visit my other material if you've enjoyed your experience on JGTS. Fans of my work are invited to show their further support by Becoming a Fan ("Liking") my Facebook fan page. 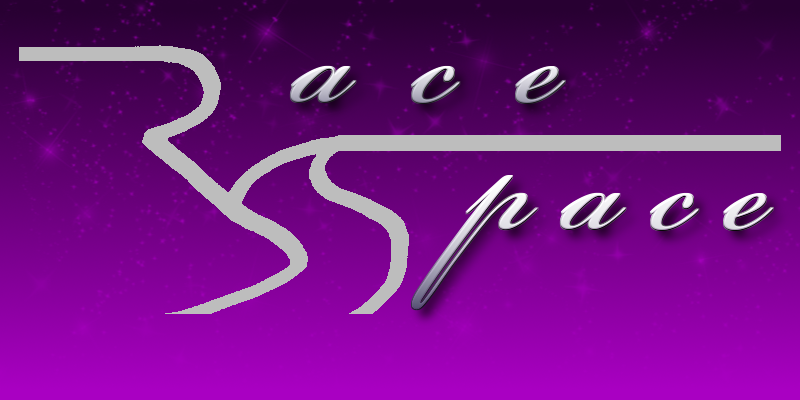 Thank you for visiting John's Race Space! Now go read something on my blog, already! :) Take care and be well. "Like" me on Facebook, Follow JRS, Follow me on Bloglovin', and/or Contact Me via E-Mail!